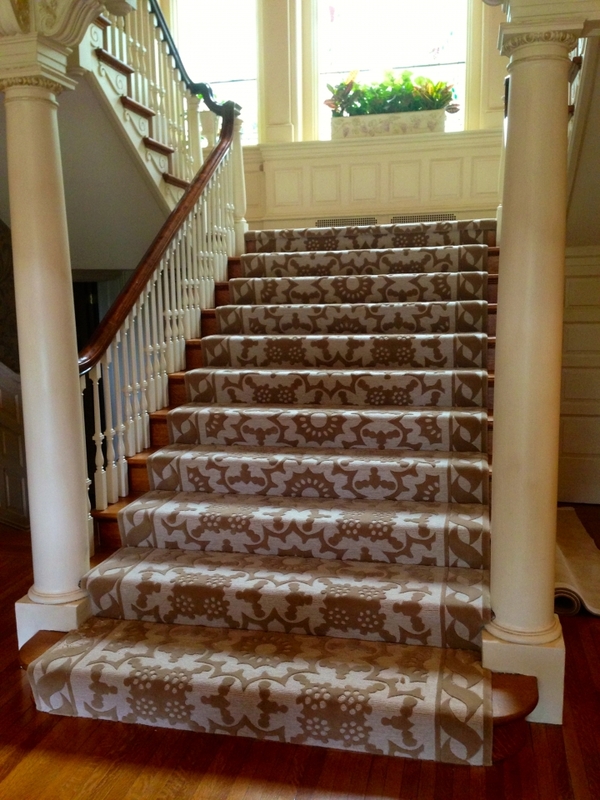 A stunning and classic 100% wool custom construction for a stately New Jersey residence. 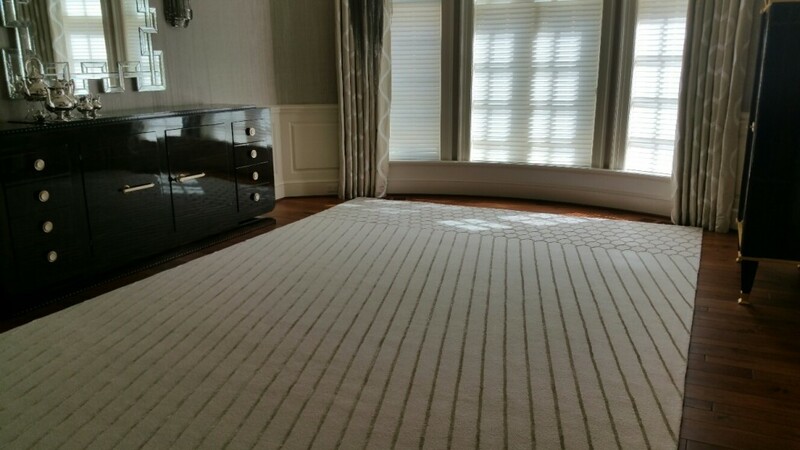 Hand tufted with carved raised lines. 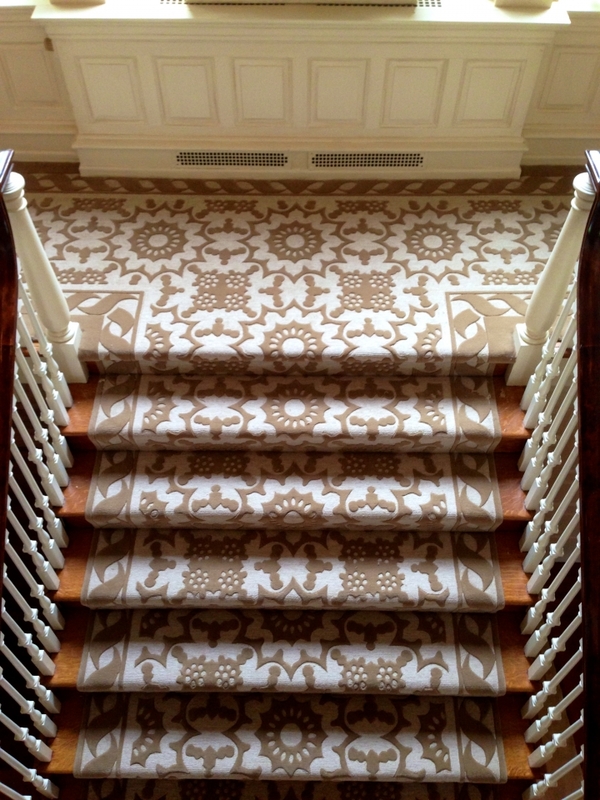 These rugs, custom designed by Allison Forbes of Forbes Design, a consultant to a private residence, are hand tufted of silk and wool. 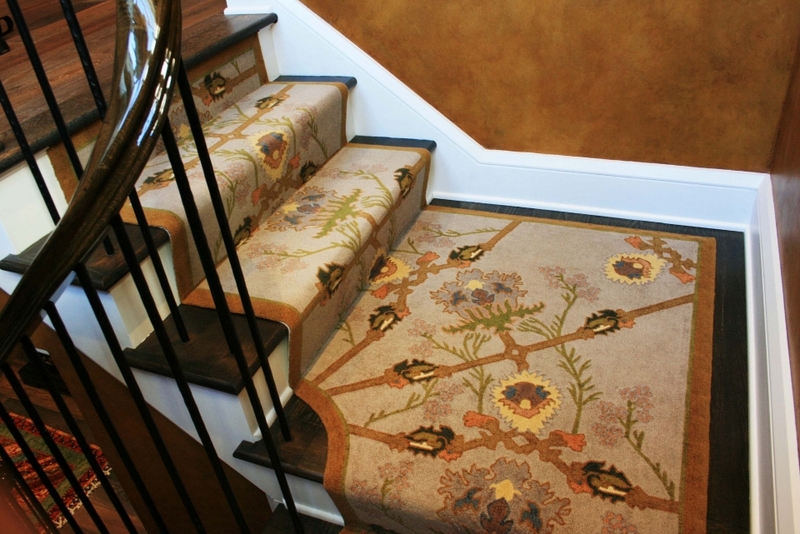 This Arts and Crafts rug for staircase includes intricate needlepoint hand-tufting in 100% wool. 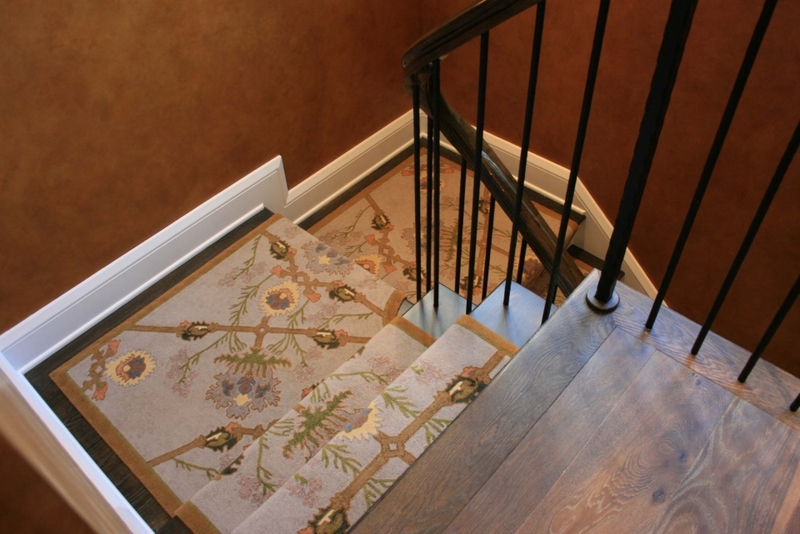 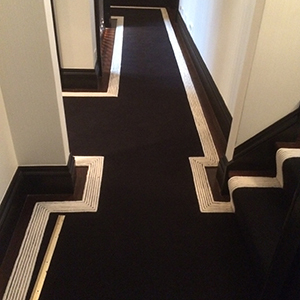 These Art Deco rugs for staircase and hallway were custom made by Silk Road Carpet and Rugs in 100% New Zealand wool in a multilevel hand-tuft, with hand carving. 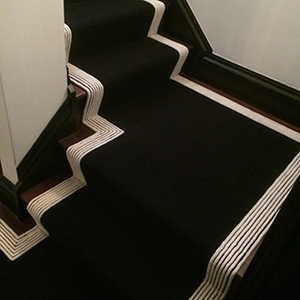 Stunning in black and white, this staircase is covered in a Silk Road custom rug with 100% wool in needlepoint stitch in the center, and 100% silk cut pile borders. 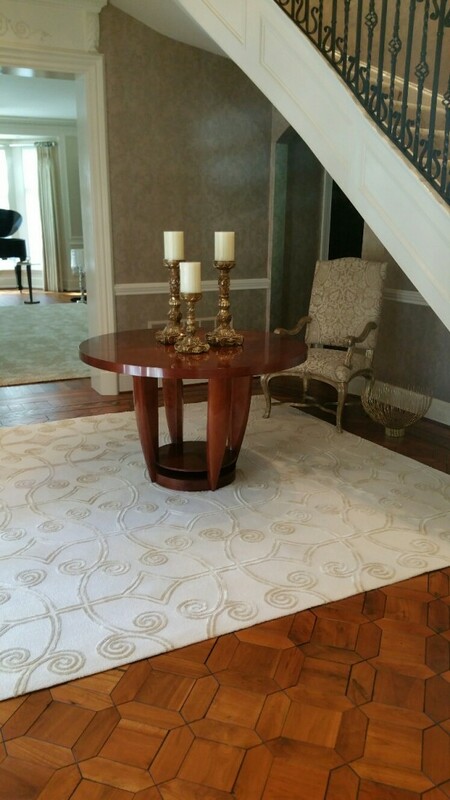 Here we have another gorgeous hand-tufted 100% wool rug with hand carving, created by Silk Road Carpet and Rugs in collaboration with Great Falls Distinctive Interiors. 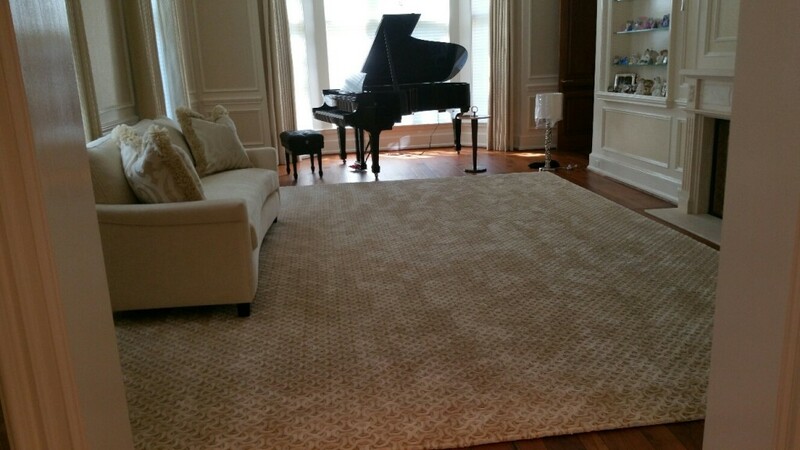 The rug pictured here is one of an identical pair, for dining room and living room. 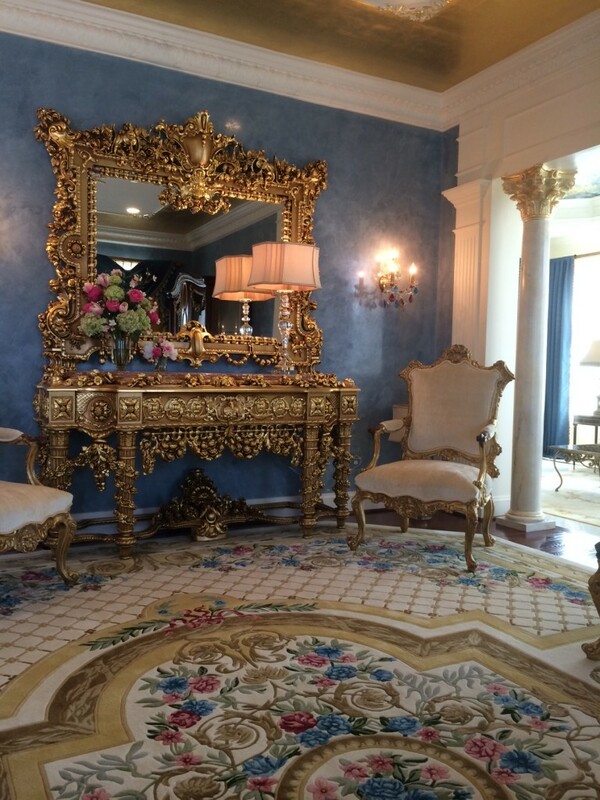 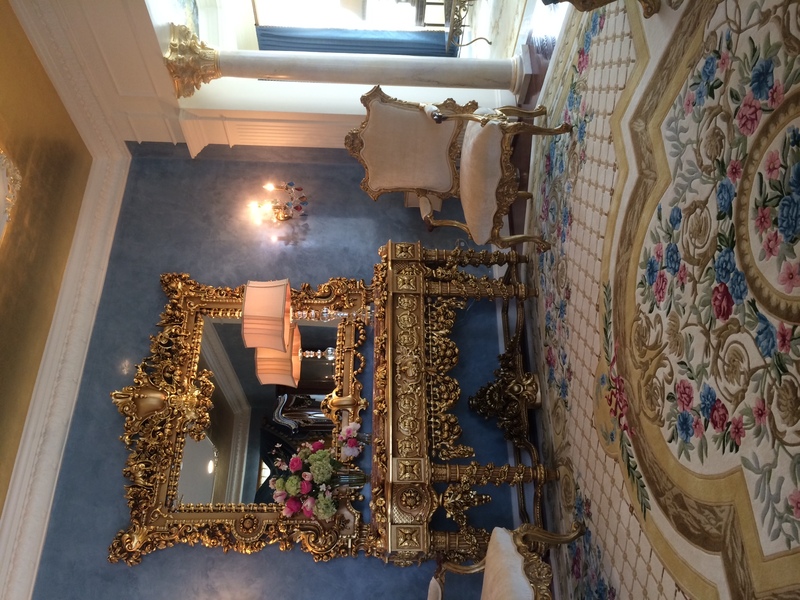 Take in these gorgeous gilded rooms Silk Road carpeted in a Washington D.C. embassy. 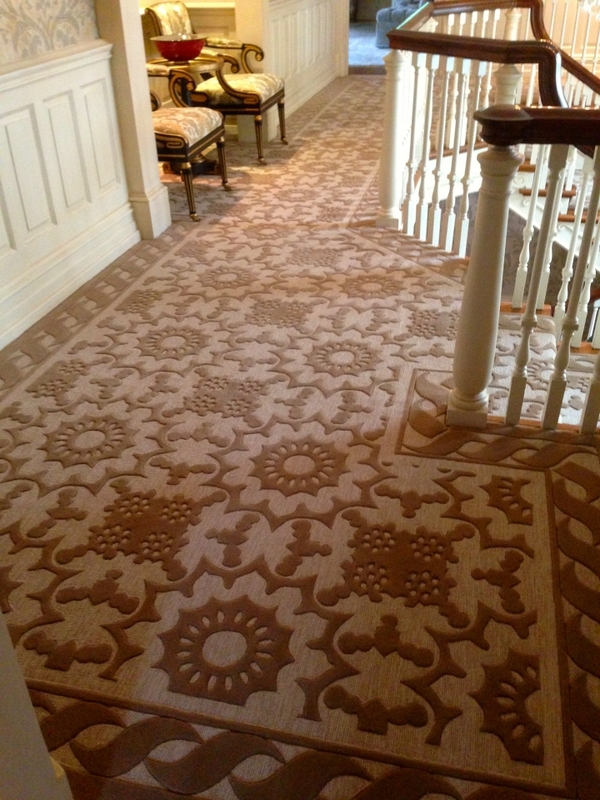 These hand-tufted rugs were custom designed with hand-carving and intricate details for Great Falls Distinctive Interiors. 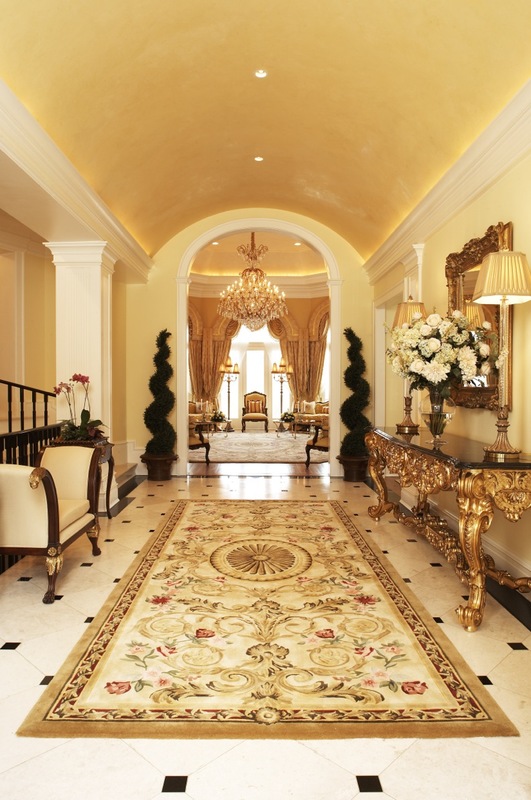 Our custom rugs and carpets were placed throughout this incredible new facility. 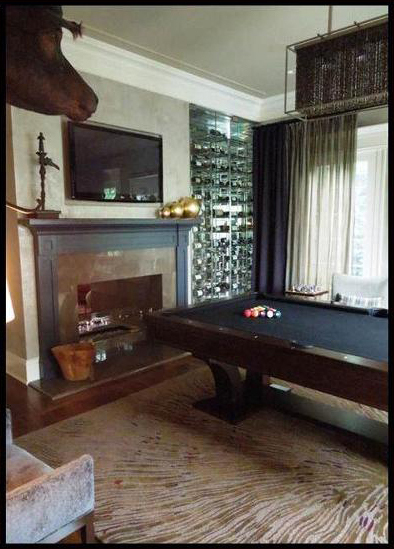 To see more from this project, go to our Facebook page. 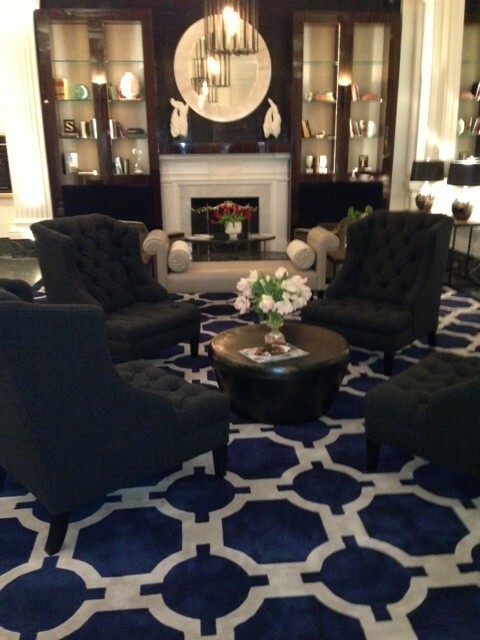 This custom, hand-tufted, 100% wool rug by Silk Road for DAS Architect and Design creates an impression in a well-appointed Philadelphia apartment lobby. 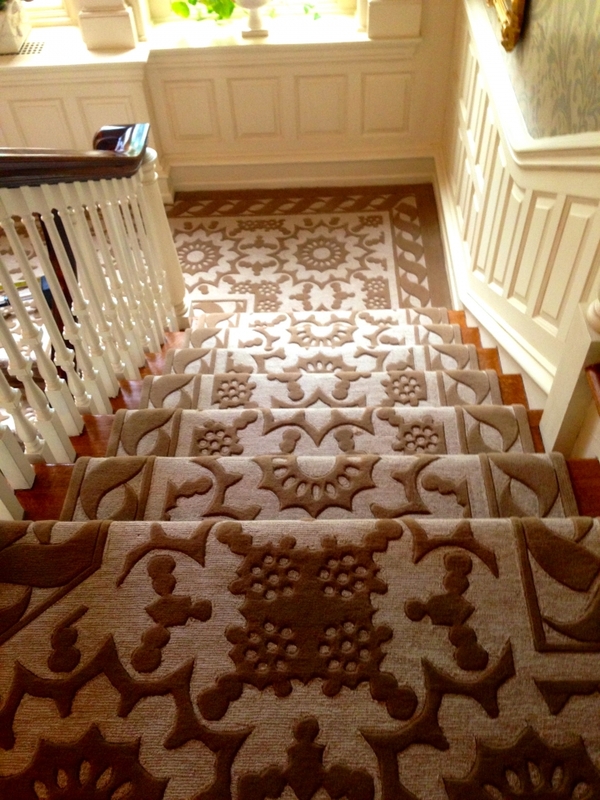 Click here for more Geometric design ideas. 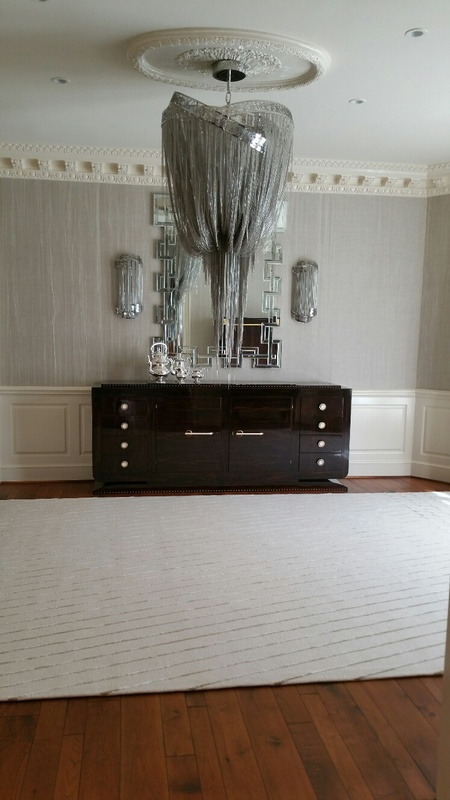 This fabulous hand-tufted rug is an original design by Linda Murillo of Lilypads Creations, inc.
Linda chose wool and silk for her creation, and used colors from the Silk Road Carpet and Rugs pom box. 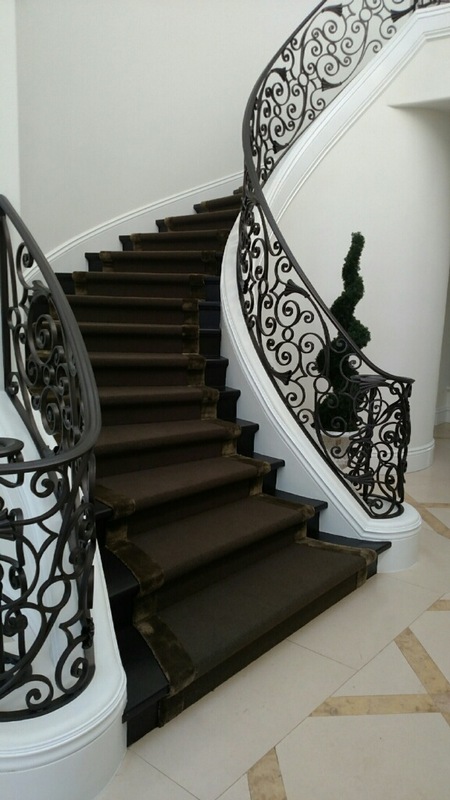 For more information about our custom process, see our Custom page. Silk Road Carpet and Rugs creates unique custom rugs and carpets for designers and customers all over the U.S. To contact us, write to info@SilkRoadCarpetandRugs.com.